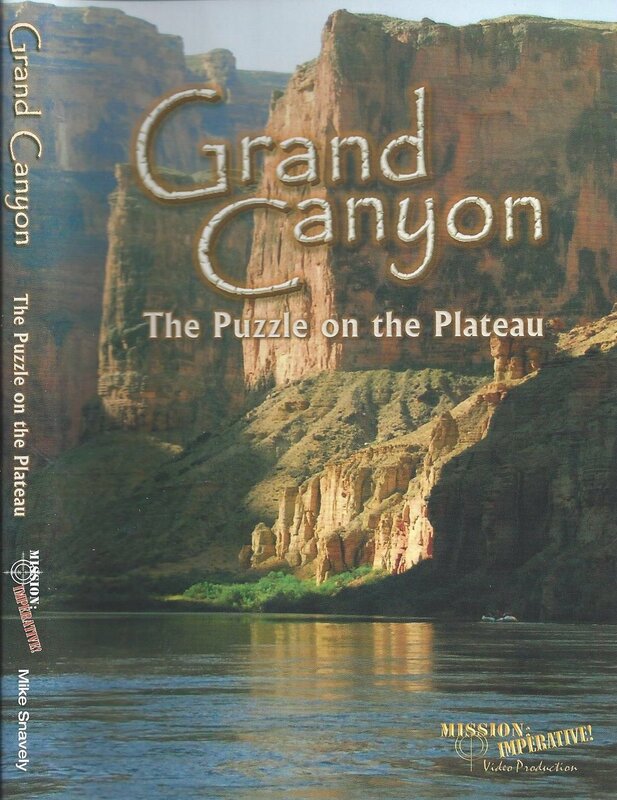 2018 UPDATE: Bryan Nickel joins Bob Enyart for our June is Grand Canyon Month at RSR to discuss the Hydroplate Theory explanation for the origin of the Grand Canyon! 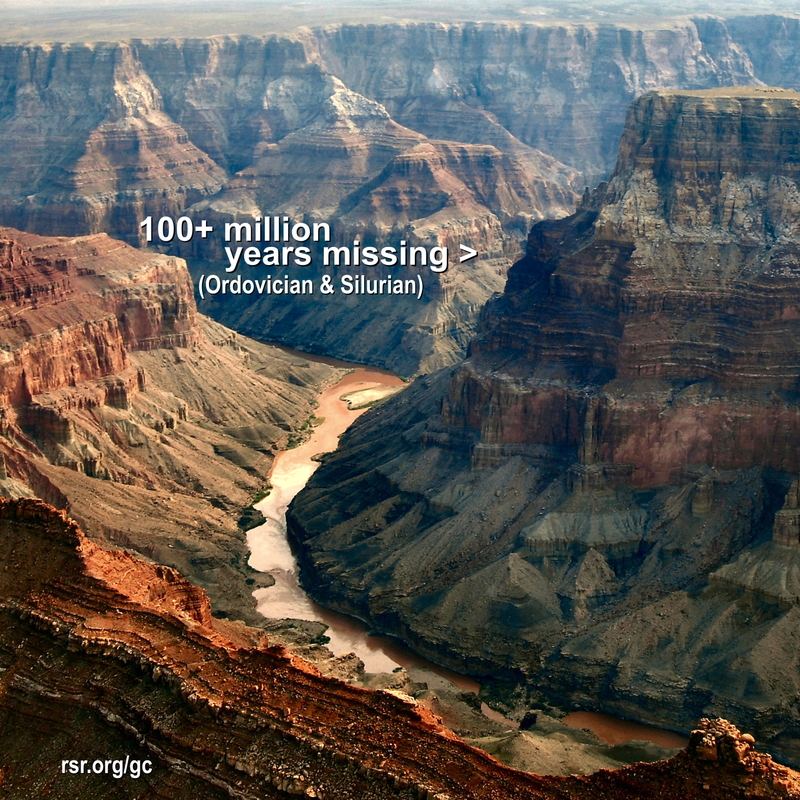 Just go to rsr.org or the permalink at rsr.org/grand-canyon-hpt-origin. 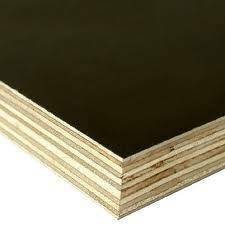 * Ten Years Later Update on the Flat Gaps: Notice that the layers of the Grand Canyon, revealing buried strata like nowhere else on Earth, show that the sedimentary layers have characteristically flat, horizontal, and parallel boundaries, not unlike laminated wood. If the secular model were correct, and this mile deep stacking of sediments were laid down over hundreds of millions of years, then erosion, which is constant and relentless, would guarantee that there would be no such parallel uniformity to the boundaries of these layers. The vast majority of the Earth's sedimentary layers were laid down rapidly. Their minerals were agitated into their varying degrees of characteristic purity and conformity by a process known as liquefaction. This liquefaction was powered by both the fluttering crust and a year's worth of the crest and trough of global tidal waves pressing water into and effectively pulling it out of the increasingly deposited sediments. Thus the widespread flat gaps between sedimentary strata (also known as paraconformities, parallel strata with no apparent erosion) were formed globally on the continents. For more information, you may want to check out Bob Enyart and Fred William's November 2017 program, RSR Debrief of Geology Field Trip with Walt Brown. * Marble Canyon Formed Differently: than the overall Grand Canyon, but similarly to how the Grand Canyon's Inner Gorge formed. Grand Lake poured out removing a massive funnel-shaped slice of earth above the area of Marble Canyon, and with that enormous weight removed, the strata below bowed upward, and the earth cracked, forming Marble Canyon not primarily by rapid erosion (as the Grand Canyon formed), but as a tension crack. Grand Lake waters flowing southwest beyond Marble Canyon joined with Hopi Lake waters and eroded the Grand Canyon. $20. Call 1-800-8Enyart to order! * The Massive Side Canyons: of the Grand Canyon mystify geologists, having formed with no apparent water source, as though there are more than a dozen missing Colorado Rivers. Yet the formation of the side canyons is understood easily by realizing that as the Earth was drying out after the Global Flood, the terrain around the canyon was still saturated, with a high water table, the water comprising perhaps one-fifth of the strata by volume. As the breached lake waters carved out the Canyon, subsurface waters carved the side canyons! * Mesas, Buttes, and Spires: elude explanation until considering the post-flood conditions during their origin. As Grand Lake drained, its water-saturated sub-floor yielded up its waters. As the enormous pressure of the lake waters was removed, the water beneath began to flow upward, as a massive artesian aquifer, now free to flow vertically upward, eroding the lake floor but leaving the islands in the lakes (the areas of greater resistance) relatively unaffected, which islands became buttes and spires. * Discoverer of Grand Lake: In 1987, Walt Brown discovered Grand Lake, and saw that when Grand Lake breached, it undercut Hopi Lake, and the combined waters carved the Grand Canyon. The explanation of the formation of the canyon had eluded both creationists and uniformitarian geologists. However, as the author of the Hydroplate Theory, Walt Brown has gained insights into the macro-effects of geologic catastrophe, and that experience enabled him to see the simple explanation of the formation of the Grand Canyon! Now, not only can mankind understand the formation of the canyon, but many other seemingly-unrelated geographic features of the American southwest can be understood related directly to the origin of the Grand Canyon, including slot canyons, barbed canyons, and even Petrified Forest National Park! * Our Favorite Scientist: Here at BEL, Walt Brown is our favorite scientist! He wrote the best-selling book, In the Beginning, about creation, evolution, and the global flood and the solar system! Walt received a Ph.D. from MIT and has taught science at the U.S. Air Force Academy. You can get Dr. Walt Brown's fabulous book by clicking the link or calling us at 800-8Enyart (800-836-9278)! * Ask questions or make comments: specifically about this Walt Brown program, at TheologyOnline.com!